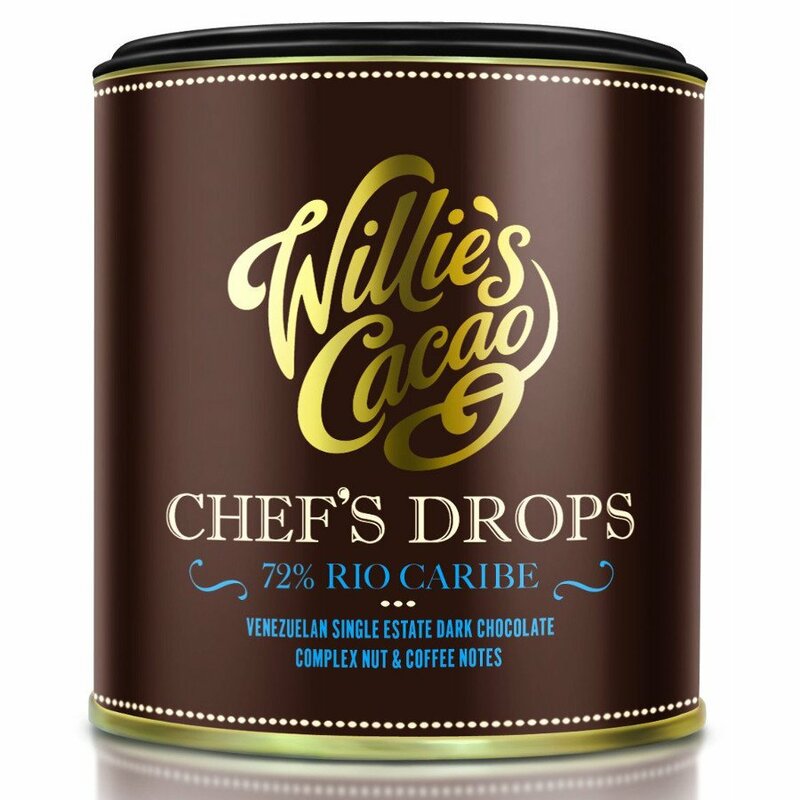 Using beans sourced from Rio Caribe in Venezuala, these dark cooking chocolate chefs’ drops from Willies Cacao are perfect for dessert recipes and cake making. They are easy to melt chocolate drops that are made from all natural ingredients with a minimum of 72% cacao solids and have delicious notes of nut and coffee giving them a distinctive flavour. May contain traces of nuts. 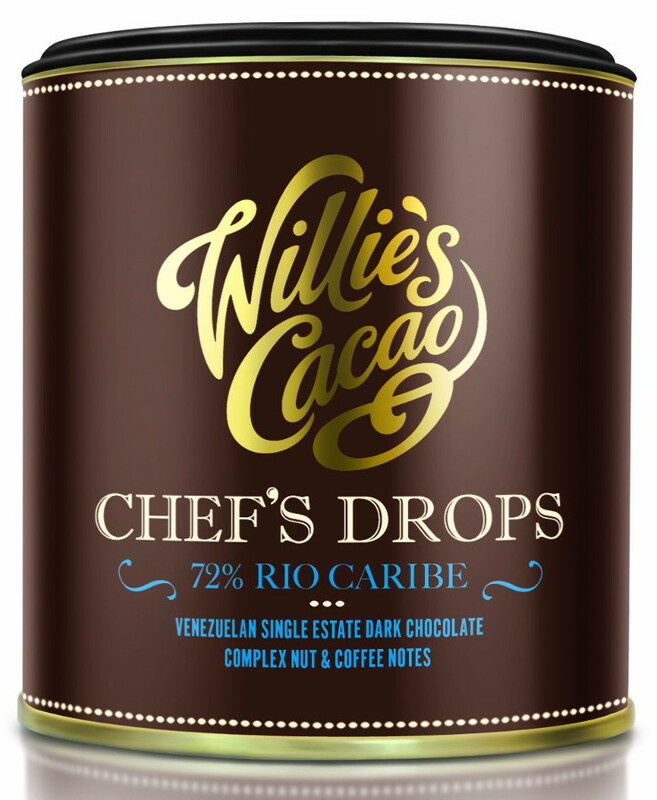 I love Willies Chocolate, so rich and full of flavour. Great eaten alone, or cooked with.